Last.fm – If I’m honest I signed up because lots of other people were using it but it did little for my web presence and I ended up barely using it. LiveJournal – I had a LiveJournal account for a long time which I actually never used as a journal but instead had signed up to access a bunch of communities that were sharing new music. I hadn’t logged in for a long time, so felt no pain in deleting that one. Quora – I signed up for an account because I liked the concept, but I haven’t really used it. I can get the same sort of benefits out of Google search and now Google+. Amplify – Google+ offers the same functionality and is likely to be better integrated with other Google tools that I regularly use. While the others have been relatively easy to get rid of, there seems to be no obvious way to delete an Amplify account. Quite worrying for someone who cares about his personal data. Twitpic – After the furore over Twitpic claiming ownership of your photos I cleared out my Twitpic account. I hadn’t used it in a long time any way having begun to use my Posterous blog as my Twitter photo service of choice. This keeps my photos within a space that I retain both ownership and control over. Picplz – I’m adding this to the list in essence of full disclosure, even though to say that I used Picplz is a bit of a misnomer. In order to try the Android app you had to sign up for an account. I didn’t like the app nor did I ever upload any photos. However, every now and again I would receive an email indicating that someone was following me on Picplz. A short email quickly put an end to that. Mobypicture and yfrog – Two other photo service that I used a couple of times when I began using Twitter was Mobypicture. Again, a short email saw the account closed. If you have an account but don’t know how to close it, you should check out Account Killer. I came across the site via Doug Belshaw. 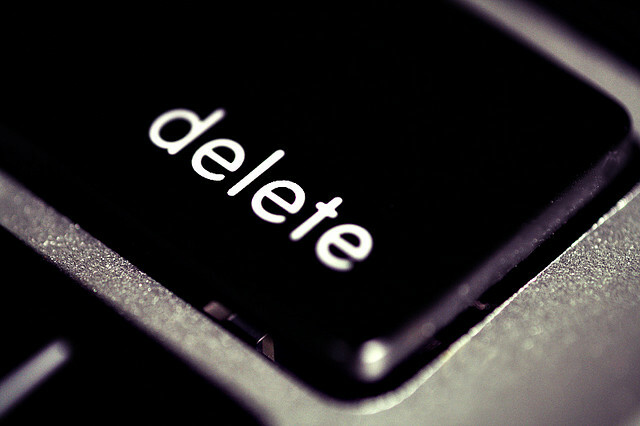 Accounts and services are listed and then colour coded to indicate the ease with which you can delete them. Amplify is black listed as there seems to be no way to shut it down. Quora is grey as it involves sending an email requesting the account to be closed. Last.fm on the other hand is white listed as you can close the account yourself from the account settings page. While I’m on this topic, there are two new tools that I have been using that I will be keeping as part of my (continually evolving) workflow. Firstly, ifttt (if this then that) is an awesome way to push around and manage the various streams of information that you have coming in or are creating yourself. I currently use it to push a whole bunch of stuff out to Twitter including my Google Reader shared items, blog posts and Delicious bookmarks. I would be interested to know how others are managing their incoming/outgoing information; work flows; and online presence. Image courtesy of M i x y.